Some days, only the comfort of a hoodie will do. That's where this number in a cosy loopback fabric comes in. 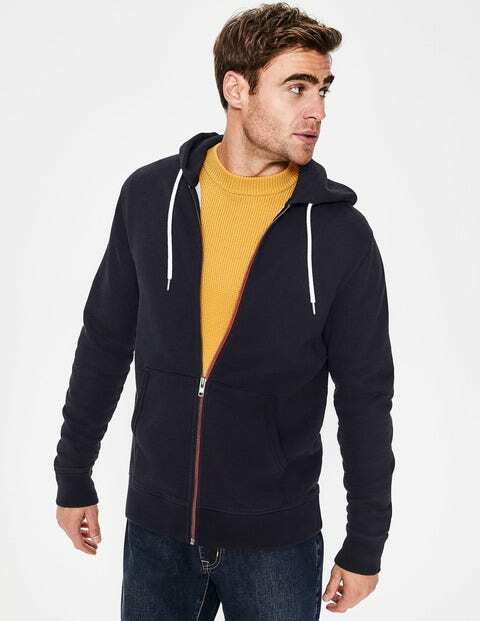 It sports contrasting colours on the drawstring and down the zip, and has been garment washed for softness and that unbeatable ‘lived-in’ quality. Zip it up when there's a nip in the air, or wear it open with a white T-shirt to show off the herringbone detail inside.